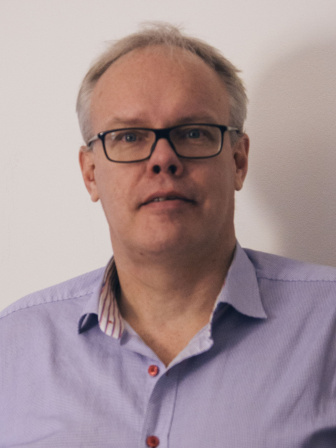 Professor Jari Salo currently works in Helsinki, Finland as a private orthopaedic and trauma surgeon. He has held several academic positions both in Oulu, Helsinki and Kuopio, and his academic carrier covers wide sector in orthopaedics from high level cell biology in bone remodeling to material technology with 3D scaffolds, from customized novel casting materials to high resolution imaging techniques for cartilage diagnostics and biomaterials, like use of bioactive glass in osteomyelitis. His clinical practice is mainly cartilage surgery and sports traumatology. Salo is an inventor of orthopaedic conical beam CT imaging. Traditionally conical beam CT scanners have been used in maxillofacial surgery, where high spatial resolution is required with low radiation doses. It was 2005 when Salo initiated a project to get this kind of imaging technology to be used for extremity imaging in orthopaedics and trauma surgery. Since then he is actively working with this technology, bringing it to clinical work and using CBCT as a clinical routine now for more than three years on a daily basis. He has a vast experience in cartilage CBCT imaging, multiplanar reconstruction of isotropic 3D data and segmentation of cartilage in joints. He educates CBCT technology worldwide.